Twenty short years after the Great War had been extinguished, clouds of war gathered once more across Europe. Canada, again, would be called into the fight. Twenty short years after the Great War, Europe again stood on the brink of a mighty upheaval in the summer of 1939. Clouds of war were on the horizon, and Canada would again be called into the fight. By the time the Second World War ended six years later, more than 1.1 million Canadians and Newfoundlanders — from a population of about 11 million — would serve in the military. The human toll would be immense: 45,000 Canadian soldiers would die and another 54,000 would be wounded. Their sacrifices — at Dieppe, on the beaches of Normandy, in the Italian campaign — would help Canada emerge from the war years with a new-found clout and respect on the world stage. The fighting began with the German attack on Poland early on Sept. 1, 1939. Britain and France declared war on Germany shortly after and, while Canada was not drawn in automatically, there were few doubts the country would follow suit a week later. Canadian soldier Wilf Gildersleeve had been a radio signaler, starting in Sicily in 1943. During the liberation of Holland in 1945, he was a platoon commander in the Seaforth Highlanders. In 1945, Margriet Blaisse was a young women living in Amsterdam, next to the famous Vondelpark. This is their story in the days surrounding the liberation of Amsterdam in May 1945. Canada's military was ill-equipped at the war's outbreak, with a small army and outdated weaponry, but defences were quickly bolstered, and thousands of volunteers signed up for the overseas campaign. The first Canadian troops departed for Europe at the end of 1939. Canadian pilots fought side-by-side with the British air force in repelling the German Luftwaffe's attacks on the U.K. in the summer of 1940. The Royal Canadian Air Force engaged in direct combat with enemy planes for the first time in the war. Repelled in the Battle of Britain, the Germans turned to night bombing of London and other cities. During the Blitz, which lasted until May 1941, the British buckled but did not break. Canada also waged war at sea, doing battle with German U-boats that were attacking convoy ships. The German boats even breached Canadian waters, sinking 23 ships in the Battle of the Gulf of St. Lawrence. More than 3,000 Canadian sailors and merchant seaman died in fighting on the Atlantic Ocean during the war years. The navy, which had just six destroyers and a few smaller ships when the war began, was among the world's largest military fleets by 1945. The attack on Pearl Harbor — which saw Japanese planes bomb the American naval fleet moored in Hawaii — drew the Allied forces into a Pacific theatre of war. Canadian forces saw direct combat with the Japanese almost immediately at the Battle of Hong Kong, which began on Dec. 8, 1941. The Canadians were all volunteers and far from battle-ready, having arrived just three weeks earlier. The colony surrendered on Christmas Day, and the surviving Canadian, British and Indian soldiers became prisoners of war. The Japanese sent 1,685 captured Canadian soldiers to four prisoner of war camps. By the time Hong Kong was liberated in 1945, more than 550 of them had died. 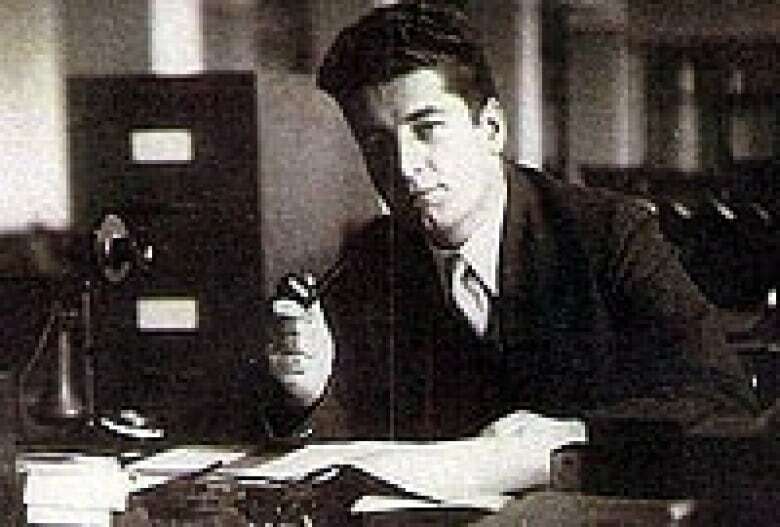 Gustave Bieler was recruited by the British secret service at the age of 38. He parachuted into occupied France in 1942 with the goal of blending into French society and wreaking havoc among the Germans. His daughter, Jacqueline Bieler, tells his story. Read a Q&A with the author of the book Out of Night and Fog: The Story of Major Guy Bieler, Special Operations Executive. Fred Langan also tells the story of Guy d'Artois, an SOE agent who also fought with the French resistance. The raid on Dieppe in August 1942 was the Allies' first major combined operation of army, navy and air forces. It was seen as a test run for the eventual invasion of France — but became one of the darkest chapters in Canadian military history. Almost 5,000 soldiers and officers from the 2nd Canadian Division joined the fight. Problems began before the men even reached the shore when a German convoy learned of the attack. When the Allied forces hit the beach, they ran into a wall of machine-gun and mortar fire. Entire platoons were mowed down as they stepped out of their landing craft. An estimated 907 Canadians were killed, and 1,946 became prisoners of war. No major objectives were accomplished, but some later believed that valuable lessons were learned that would be later applied on the beaches of Normandy. The invasion of Sicily in July 1943 was, at the time, the largest amphibious invasion in history. The island fell quickly to the Allies, creating a base for an invasion of the Italian mainland. The government of Benito Mussolini fell just two weeks later, but the Germans swept into power, turning from Italian ally to occupier. After weeks of brutal fighting — sometimes hand-to-hand combat — the Canadians pushed German forces back to the medieval town of Ortona. By the end of December 1943, the Germans were forced to retreat, a victory won at the cost of more than 1,300 Canadian casualties. At the height of the battle, 76,000 Canadian soldiers were fighting in Italy. They played a major role in the campaign's eventual success. Operation Overlord, the long-planned Allied invasion also known as D-Day, brought the biggest armada in history to the shores of Normandy. Five heavily fortified beaches were attacked on June 6, 1944. Canadian responsibility centred on Juno beach. In the first six days of battle, about 3,000 Canadians were killed or wounded. Yet Canadian infantry pressed on, moving inland to capture enemy positions throughout June and July. The war's direction had been decisively turned in the Allies' favour. After fighting key battles in Belgium and along the Rhine, the Allies began a final push to secure northwestern Europe and end the war. Canadian moved through The Netherlands in early April 1945. It quickly became clear, however, that the dire hunger of Dutch citizens was a far more pressing need than driving out the Germans. Food drops for civilians were organized. The Germans refused to surrender without a fight, though, and the liberation of Holland wasn't complete until the German surrender in May. About 7,600 Canadian servicemen died while fighting in Holland. Because of Canada's role in liberation, a close affinity between the countries remains to this day. After the war, The Netherlands thanked Canada with a gift of 100,000 tulip bulbs and still sends Canada 20,000 bulbs annually. CBC Archives looks back at the celebrations marking the war's end in May 1945. 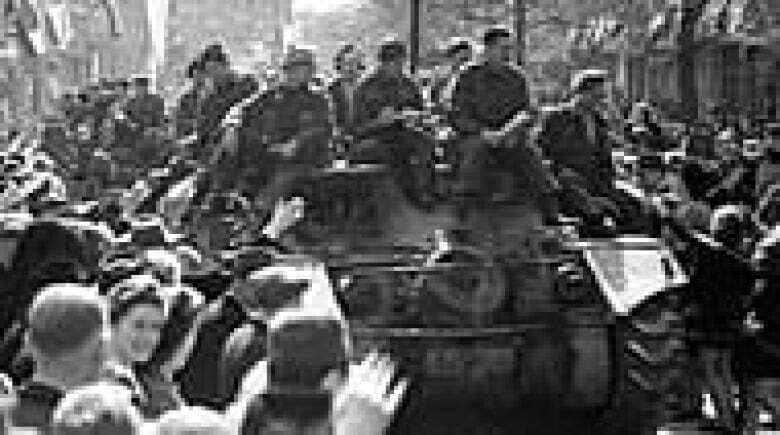 'The time has come to be glad' Legendary war reporter Matthew Halton reports on the German surrender. 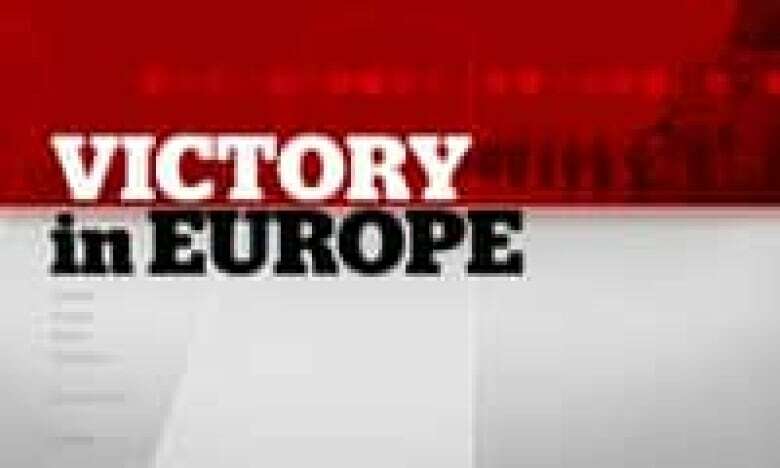 Canada celebrates victory in Europe This 25-minute radio clip takes listeners across the country to hear how people elsewhere are celebrating. Revelry goes rancid in Halifax Looking back at riots and looting in Halifax's downtown on VE-Day. 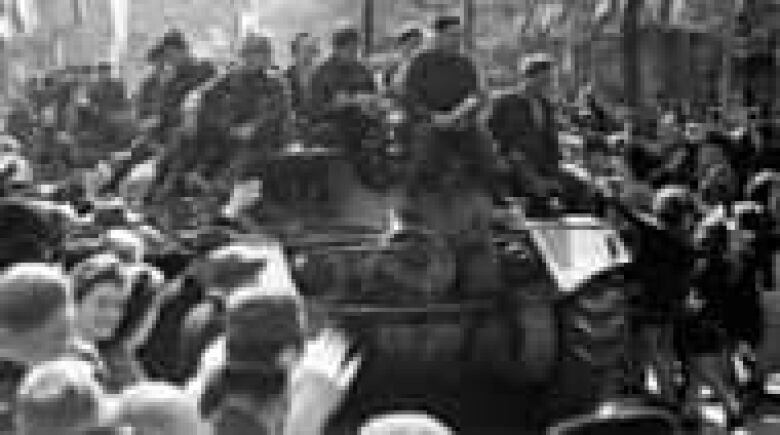 The news flash reached Canada at 9:36 p.m. Eastern Daylight Time on May 7, 1945: "Germany has surrendered unconditionally." Celebrations in many places were already under way, after an Associated Press bulletin announcing the Allied victory earlier that morning. The following day, British Prime Minister Winston Churchill went on the air to declare "Victory in Europe Day," soon shortened to VE-Day. Official celebrations took place across Canada as jubilant crowds took to the streets in Toronto, Montreal and cities and towns all across the country. In Halifax, the port city swelled by thousands of naval personnel, the revelry got out of hand. Mobs of sailors, fuelled by alcohol and tensions that had simmered during the war, smashed windows and looted stores in what become known at the VE-Day riots. A new world emerged after the defeat of Japanese forces in the Pacific in August 1945. Canada would participate in the newly created United Nations and watch anxiously as Cold War tensions rose between East and West. Canadian forces had proved to the world their courage and valour on the battlefield and were afforded an expanded place in the new order. Memories of the soldiers' sacrifices have not dimmed with time, as evidenced when Canadian officials and other world leaders came back to the beaches of Normandy in June 2009 for the 65th anniversary of the D-Day landing. "Our veterans — ordinary Canadians who accomplished extraordinary things — represent the best of Canada," Veterans Affairs Minister Greg Thompson said on the occasion. "The freedoms we enjoy today are because of them, and we owe it to them to remember."